This Ain't No Cow Pasture Ride! It's on Mountain Trails, the terrain is not flat. 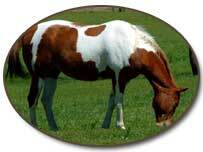 Smoky Mountain Riding Stables - Gatlinburg TN is an established horseback riding stable. It has been in operation for over 20 years. No experience is necessary to ride. All horseback rides are great for beginner through advanced riders, with beautiful wooded scenery and mountain streams. Our 40 head of well trained & experienced mountain trail horses makes for a fantastic ride. Their sizes range from 13 to 17 hands tall to meet the needs of all our riders. Due to the natural Great Smoky Mountains National Park terrain, Our guided horseback rides are at walking pace. Maximum weight no more than 225 lbs. Your family's safety is most important to us so why not select the riding stable with over 20 years of experience and we have an exceptional safety track record. Great activity for the Newlywed Couples, Youth Groups, Scouts, etc. Take a look at our General Hours of Operation before planning your trip.